"This is a serious show. Capisce?" You know what I really miss? Cartoons that were more than just 22-minute sugar rushes for the AD/HD set (yes, SpongeBob, I’m looking at you). I miss being able to sit down after school, scarf down a few of Mom’s freshly baked pumpkin cookies, and get entertained and enlightened by my cartoons. I sorely miss the intellectualism inherent in Disney animation from about the late ’80s to the early ’90s. I could argue that I’ve always seen maybe too much into the medium of drawings, be it Calvin and Hobbes or the animated version of Beauty and the Beast. But what are cartoons but another way to answer life’s great questions? So many of the great cartoonists and animators tackle material that so-called “serious” writers will not touch. Because most cartoons are seen as “funny,” their subject matter is less rigid. Like the king’s faithful fool, they may tell the truth when no one else can. I’ll use the sorely underrated TaleSpin to make my point here (I blame Words From the Heretic for my recent re-introduction to the show…and yes, it’s okay). The show’s premise doesn’t really sound like a kids’ show, for starters: a fun-loving bush pilot flying a cargo plane in a 1930s Art Deco setting and facing off against air pirates, restless natives, and evil business tycoons. It bears a striking resemblance to the Belissario cult hit Tales of the Gold Monkey and would later serve as a quasi-inspiration for Hayao Miyazaki’s Porco Rosso. I can’t imagine Millenial kids being as entranced by TaleSpin as I once was. They might think the animation was subpar even if the characters and stories were interesting. I can’t see them picking up on the obvious geopolitical themes which come as second nature to us Cold War kids (ie, the good guys live in tropical USland, the evil Soviet-types in snowy THEMbria). It used to be that kids asked their parents about things like that; asked Mom and Dad to take them to the library to read more. If kids ask their parents for much of anything today, it’s usually for the toys advertised on TV. When I faithfully watched Disney Afternoon shows, there wasn’t much else on the menu. Now, kids are literally forced to choose between several hundred channels…all showing cartoons! It’s kind of like the sports expansion argument. More teams means watering down of talent. That’s one reason I think cartoons aren’t as good anymore. But I’m also a cynic when it comes to Millennial kids and whatever we decide to call the next generation. They’ve been dumbed down too much…and worse, they’ve started to forget the world TaleSpin represents. Every day we lose a few more of the remaining members of the Greatest Generation. With them go priceless bits of history. Are their great-grandkids really going to care about fighting Nazis and Tojo’s Japan and the Soviet Empire? I really doubt it. They’re probably too preoccupied with their iPhones and Facebook. I also hold a rather controversial view that kids today are too sheltered from the real evil of the world. Pretending evil doesn’t exist doesn’t mean it isn’t out there. 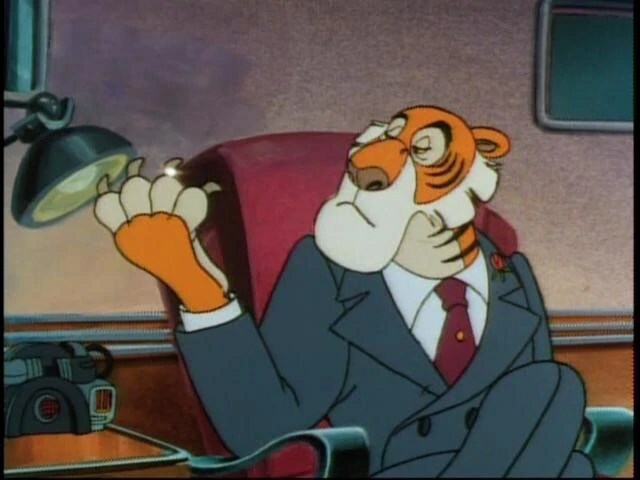 TaleSpin had its share of evildoers, from the outrageous (pirate Don Karnage) to the frighteningly contemporary (ruthless business magnate Khan). On the show, the good guys usually found a way to win. Real life isn’t always like that. At too young an age I found that out for myself. The good guys don’t always win, sadly. But, hey, I’m talking about cartoons here. If I learned anything from my TaleSpin days, it was that ingenuity will carry the day more often than not. No matter whether the characters crashed their plane, got stuck in a Siberian gulag, or were captured by pirates, they used their brains (and their genuine love for one another) to make things right. And that’s my kind of show. Makes me almost wish I were a kid again…just so I wouldn’t feel quite as guilty for enjoying a cartoon. If you enjoyed this post, be sure to click “Like” and sign up for your daily dose of insanity! ~ by Howlin' Mad Heather on March 22, 2012. Wow, we’ve finally found something on which we disagree. I know more than a few Millenials and I have to tell you, these kids give me hope. The week I spent at OWS, their generation accounted for the smallest amount of stereotypical, childish hippies and vapid anarchists (thought the largest single bloc of the latter was all Millenials) and accounted for the largest portion of serious activists. One of my favorite people (and not just because I was sweet on her) is a Millenial. I’ve learned a lot from her. If you’ve liked my posts on privilege (and I know you have liked a few) then you would like what she has to say, because most of those insights were based on stuff she taught me. 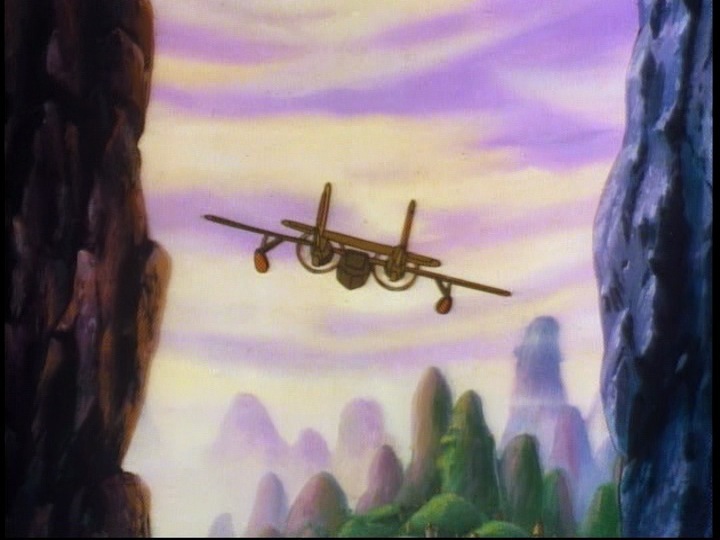 On a somewhat less serious note, and I’ve said this here before: TaleSpin rocks! And yes it was so much more intelligent than most shows at the time or since (Rescue Rangers was okay but was a bit too cookie cutter and shoehorned a lot of the issues you mentioned above with none of the subtlety that TaleSpin managed.) There really is nothing for kids younger than tweens now that compares. Justice League and Justice League Unlimited were both good and also had awesome character development but really were not appropriate for kids under 12. The same can be said of Young Justice. Christine, I can see your point of view as well and I admit I probably stereotyped a bit much. I’ve indeed met plenty of young people (10-20 years younger than me, at least) who are civic minded and have and interest in making the world a better place. I shouldn’t have been so quick to judge them, although the majority of my experiences with Millenials has been indifferent or negative. I like the kids. I hate the ‘toons. I blame marketing. Even some PBS shows are about marketing. Having said that, Fetch! with Ruff Ruffman is one I love to watch. Oh, I agree…I think there’s this huge conspiracy to turn kids into consumers at ever-younger ages. I just love that Baloo the Bear. Jungle Book, the Disney animated version, makes me laugh out loud. Jungle Book is so underrated…The Bare Necessities may be one of the best Disney songs ever. Honestly, I’m afraid I have to disagree. Modern cartoons are as willing to touch on the deeper themes, to delve into such notions. But we have the lenses of childhood on, and we do sometimes forget that for every Talespin there was a Road Rovers: cheap gags with low depth. I’ve watched and been solidly impressed the last decade by Danny Phantom, and in this decade by the new My Little Pony: Friendship is Magic. There’s still wonderful, deep, touches on big-issues stuff.